We are very pleased to announce that we are now working with Sense Scotland, providing selected digital services including Google Adwords management on a pro bono basis. Sense Scotland is a charity that supports children, young people and adults who have communication support needs arising from a range of disabilities. 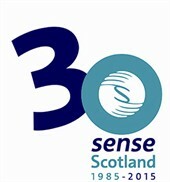 From its humble origins when seven families got together because they had a child who was deafblind, Sense Scotland has emerged today as one of Scotland’s leading care agencies with nearly 1200 staff, over 500 volunteers, 40 local services and 20 charity shops located in communities all over Scotland. The pioneering spirit of the “magnificent seven” is alive and well today as Sense Scotland provides support and services to over 1,000 families and individuals with ambitions to grow its services throughout Scotland and support more people to live meaningful and independent lives. We will be working with them to help them enhance their online presence utilising Google Grants along with Social Media and other exciting projects which we’ll keep you posted on over the coming months. Although Google are tremendously generous with the grants which they offer to charities, they do not tend to offer much in the way of support and some of the restrictions they place on grant accounts can be frustrating and, in addition, the majority of charities are unable to employ an in-house PPC expert to exploit the, sometimes, limited opportunities which are available. Our aim is to ensure that Sense Scotland take full advantage of the Google Grant. We will also be providing ongoing training to key stakeholders with a view towards Google Adwords Qualifications over the course of the next few months. Three Clicks from Oblivion from Every Cloud Digital on Vimeo.